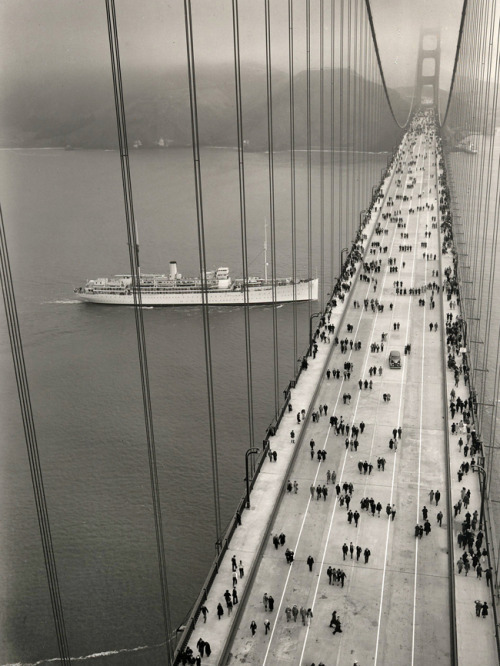 Check out this photo of the Golden Gate Bridge on its opening day. Wouldn't you love to go back and walk across the Bridge for the first time? I've got a picture of my stepdad and his sis doing just that. Actually Dorothy roller-skated across, she was 10 or something. It was pretty cool!